I have been watching Marlena's aka Makeup Geek youtube beauty videos way before I even started blogging, so when recently I had the chance to try her products and write a review on my blog I was beyond excited. I've heard many good things about the quality of the MG eyeshadows and also the fact that they are cruelty-free, so I couldn't wait to try them out. Makeup Geek offers more than 60 colors on their website and many of them are such a gorgeous and unique shades, but I decided to stick to neutrals, which I know I will be using on daily basis. I've picked up few shimmer and matte eyeshadows and created my own everyday palette. 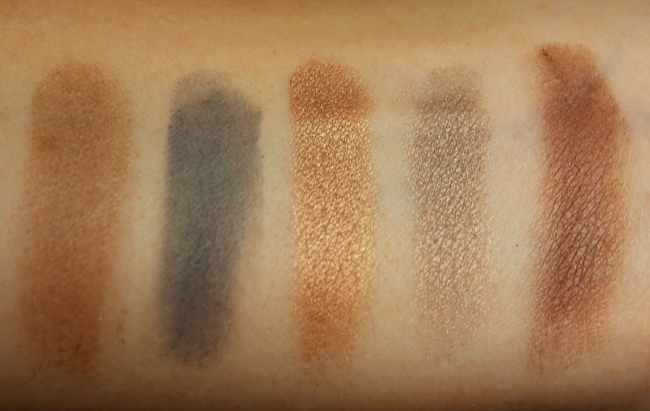 All eyeshadows are talc and paraben-free which I am really stoked about. Shimma Shimma - is a perfect shimmery shade to apply in the inner corners to "open up the eyes, as well as just apply on the entire lid. 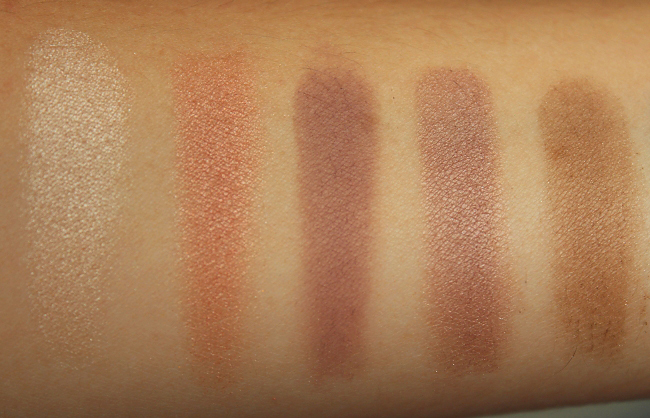 On my swatch it looks more on the white side, in real life it has more pale peach undertone. Cinderella - is a pale shimmery pink and looks beautiful on the eyes. Unexpected (matte) - this shade had more purple to it that I initially expected, but it works great as a crease color and adds nice depth. Stealth (matte) - true gray matte shade. I was really excited to have that color in my collection because I think it can create gorgeous smokey eyes without using too much black (which doesn't look too good on me). Homecoming - beautiful brown-gold shimmery shade. 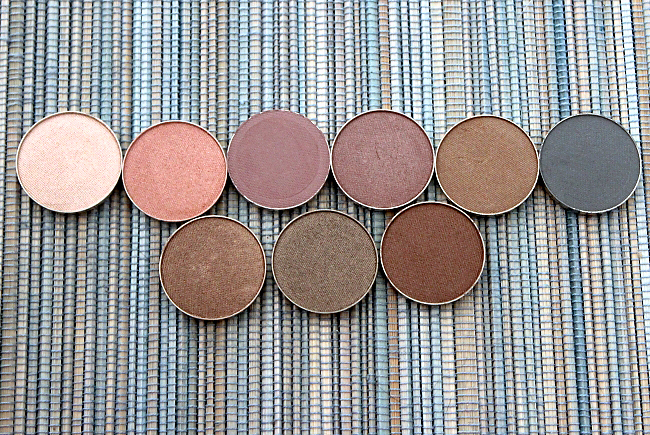 All eyeshadows are very pigmented, soft and most important they all blend effortlessly. I am very happy with their quality since I couldn't find any that had less pigmentation than the other. And Guys, each cost only $5.99 (1.8G / 0.064 oz)! With Makeup Geek pigments I decided to be a bit more adventurous haha and picked up few more fun and unique shades. All pigments come in a cute jars with Makeup Geek logo on top. All swatches applied without a primer, dry. Utopia- this shade is a must-have, it looks absolutely beautiful on but must be applied wet. My swatch above shows the pigment applied dry. Liquid gold - one word, wow. 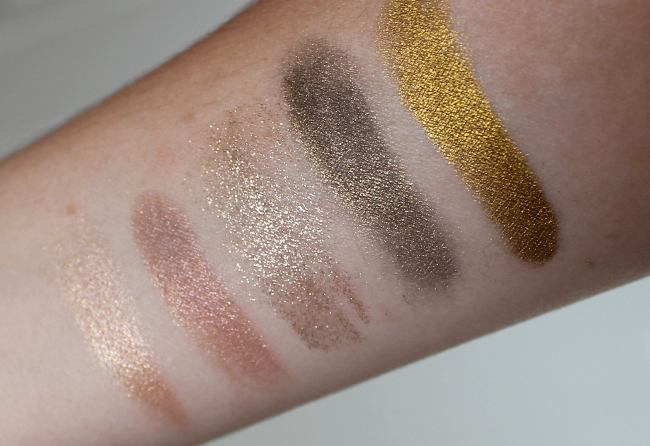 This is another must-have beautiful, rich gold pigment. All pigments come in 1.5 grams jars and are rich and very pigmented. Great quality for the price, seriously! Each cost $6.99. All brushes have a fantastic quality. The top three stole my heart with Face Buffer being my new favorite foundation brush ever. 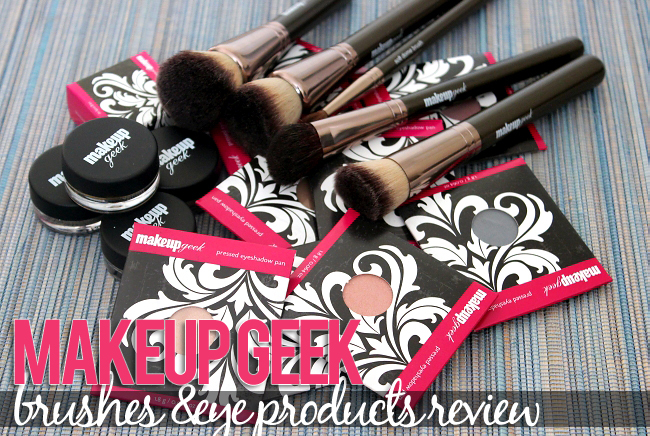 Summary: I have absolutely nothing but good things to say about Makeup Geek products. All pigments, as well as eyeshadows, have gorgeous, rich and pigmented colors. They blend so easily and are very soft and not chalky at all. 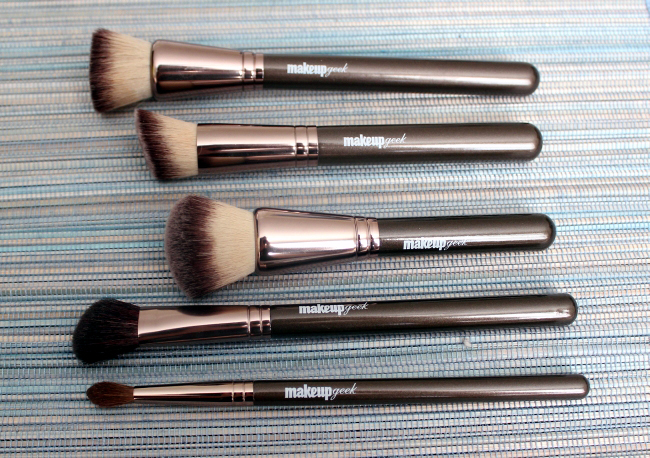 The brushes have fantastic quality and I am very happy with every single item. Also just as a reminder all Makeup Geek products are cruelty-free, so they were never tested on animals! Great quality for a good price! You can purchase Makeup Geek products here.